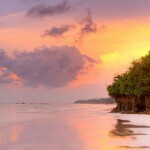 Open-jaw flights to Africa (Kenya, Ethiopia) return to London from £215! Cheap direct flights from London to Mexico City £337! Planning to explore Swahili part of Africa then consider this great solution we have just found for you.. Double open-jaw flights from Stockholm or Dublin to Nairobi with return from Addis Ababa back to London (direct flight) are now available already for £215 (€251)! This is based on service of Ethiopian Airlines and all charges as well as checked luggage are included in base fare. In addition travellers from Sweden have great opportunity to return back to Stockholm for just slightly higher fare.. This Ethiopian Airlines promotional sale is valid for flights departing to Africa till 15th of December 2016. then from 1st of January till 10th of June 2017. Max stay 3 months. Travellers from the UK and Ireland may also consider to depart from London / Dublin for still very reasoable fare. Please refer to below booking samples of Open-jaw flights to Africa (Kenya, Ethiopia) return to London. Need an accommodation in Kenya or Ethiopia consider service of Booking.com or you may use following promo codes when booking with Amoma, Hotels.com, Ebookers, Hotelopia or Venere. Booking sample of cheap ooen-jaw flights to Africa (Kenya, Ethiopia) return to London from £215 (€251)! In this case you would fly from Stockholm to Nairobi on 23rd of October 2016. You would then have to travel from Kenya to Ethiopia on your own. Your return flight from Addis Ababa back to London (direct flight) would be on 12th of November 2016.